Date : Naples, ca. 1450. Size : 3.1 x 2.2 inches. / 7.9 x 5.5 cm. Description :RECTO: One 3-line and three 1-line initials in liquid gold on coloured grounds. 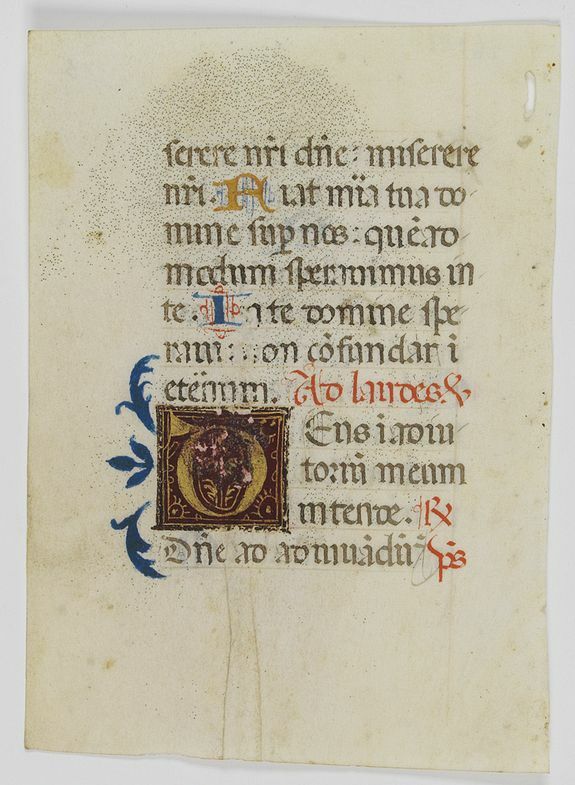 VERSO: Six 1-line initials in liquid gold or blue. Condition : 12 Lines of text in Latin, written in a brown late Gothic book hand.